The author of The River, a short story that won the 2008 Bristol Short Story Prize and was shortlisted for the 2010 Dundee International Book Prize and a semi-finalist in the Hudson Prize for a short story competition, her novel Halfling was published in 2011 and since then has written a string of short fiction which has appeared in anthologies such as The View From Endless Street, Whelp and Other Stories and Pangea, an Anthology of Stories from Around the Globe she co-edited with Indira Chandrasekhar. Here, Rebecca intends to both chill and entertain with her with her new collection of fiction. 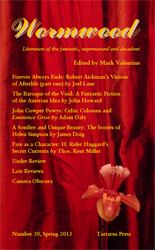 Sixteen stories, where nine have never been published before. These are as different as you could expect from her work, dark, fantastical, chilling, unusual and uncanny. What starts out as reality soon changes slowly into a fantasy world that could open up avenues to anywhere. There are several stories in this book of sixteen that I liked. “Mercy,” was one of them where a husband does all he can to please the wife he held above everyone else and the story can have readers taking different sides. Did he do it out of love or was it for some other reason. Only you can decide. “The Meat Freezer,” tells of Gary a young man trying to find a life around the messy and rubbish-filled urban sprawl of where he lives. 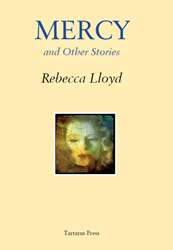 He finds friendship with Bradley and Carter, but what follows can, like “Mercy,” be interpreted in different ways and is one of the more unusual stories in the book. In “Salsa,” Cathy Miller corresponds with her perfect man using email and letters but her friend Janet thinks there is a possibility her lover could be a figment of her imagination – or could it? “Lucky Cat,” has Marcia who always asks whether her man has met another woman. It might be nothing, but after a while jealousy gets the better of her. 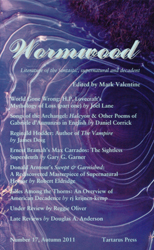 Even though these short pieces are tales of unease, they can’t be described as horror in the true sense, but they are dark-ish fiction at times. There is an element of Roald Dahl’s Tales of the Unexpected in them as Rebecca Lloyd has a grasp of English that is refreshing as it is poetic. One of the stories “The Gathering,” was the one that caught my eye as being classic horror as it has a deeps sense of fear that runs along it. For those who like their stories with an air of unusual and unpredictable, Rebecca Lloyd is a name to look out for.